New F.P. 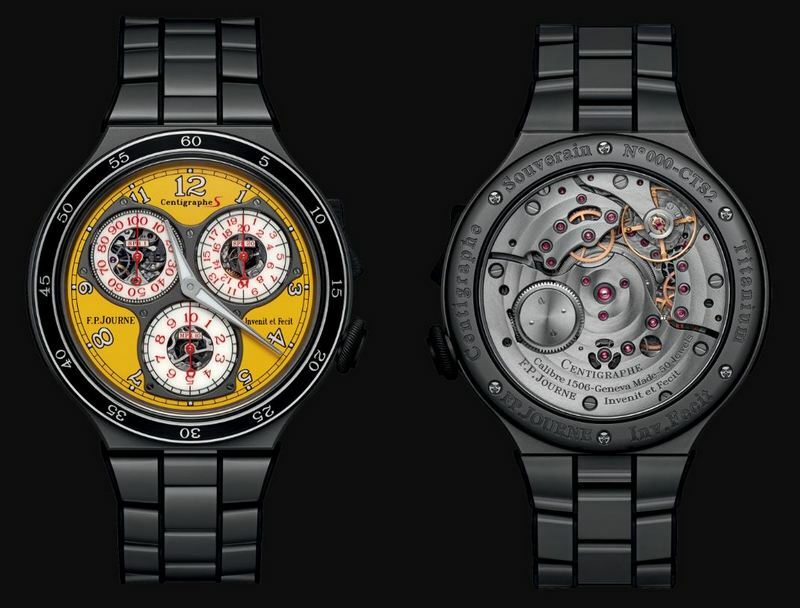 Journe Centigraphe Sport And Octa Sport Watches Have Bright Look! F.P. Journe has unveiled not one but two new watches featuring a bold new shade of yellow. 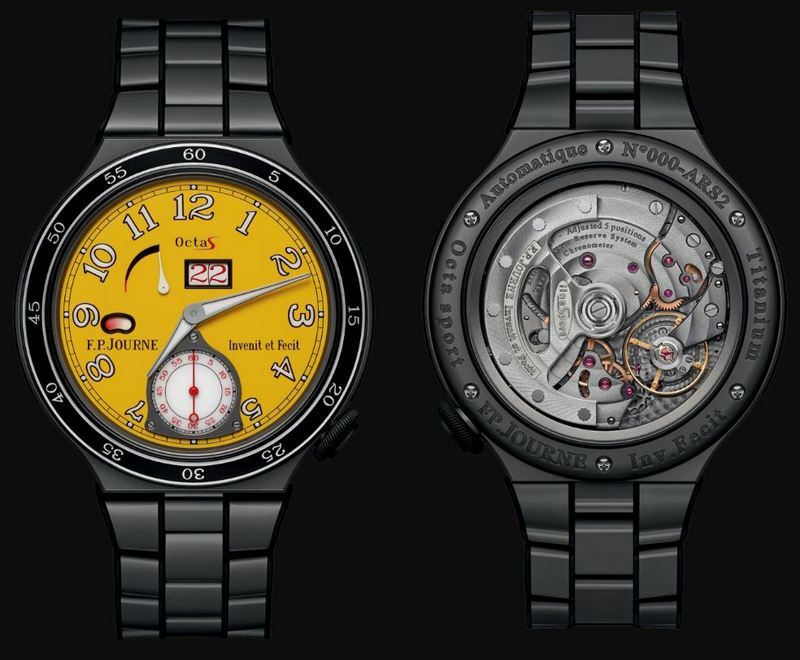 The luxury Swiss watch manufacturer has added the two timepieces to its Linesport collection. F.P. 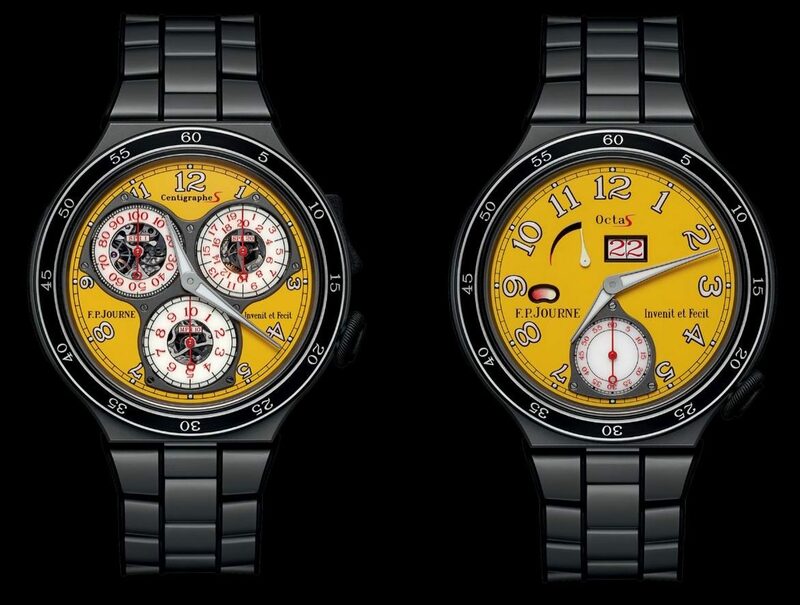 Journe’s Centigraphe Sport and Octa Sport showcase a jacket style black-and-yellow color scheme with red accents which makes them a refreshing addition to the otherwise mature-toned Linesport collection. The latest additions to the F.P. Journe family are both enclosed in a 44-millimeter lightweight, aircraft-grade titanium cases in an anthracite color that weighs 75 grams a piece. The bold new models also share a bezel constructed from titanium and ceramic and marked with detailed indices. The bright dials make the two watches stand apart from the rest of the collection and to make them even more radiant, all the numbers, indices, and hands are made to be luminescent. The Octa Sport is not a chronograph but it does feature a day-night indicator, a power-reserve indicator, and a large date window making it special in its own right. It also carries an automatic movement with a titanium rotor showcasing cutout sections. It is also engraved with the brand’s name, motto, and the Linesport logo. The Octa Sport will function for an impressive 160 hours without being wound and it will have an approximate price of $44,100 when it becomes available. The boutique watchmaker has titanium bracelets with rubber inserts for both watches to help absorb shocks and prevent damage. The bracelet is also available in 18-karat red gold and platinum, as are the cases of both watches. Its the perfect time to buy a high-end watch that’ll brighten your day with a dial like a sun! Previous articleHave You Seen This Rare Louis Vuitton Crocodile Leather Backpack? Next articleGucci-Globetrotter Give You The Ultimate Travel Collection!